We would like to announce a new, easier, and faster way of seeing a dermatologist that we have developed. Working at our clinic we know how difficult it can be to secure an appointment in our busy lives. But now we have a solution. DermCheck Dermatology is an on-demand dermatology marketplace where patients connect with an online dermatologist through an easy-to-use mobile application. Our mission is to eliminate the barriers of seeing a dermatologist and give people access to top doctors with a click of a button. 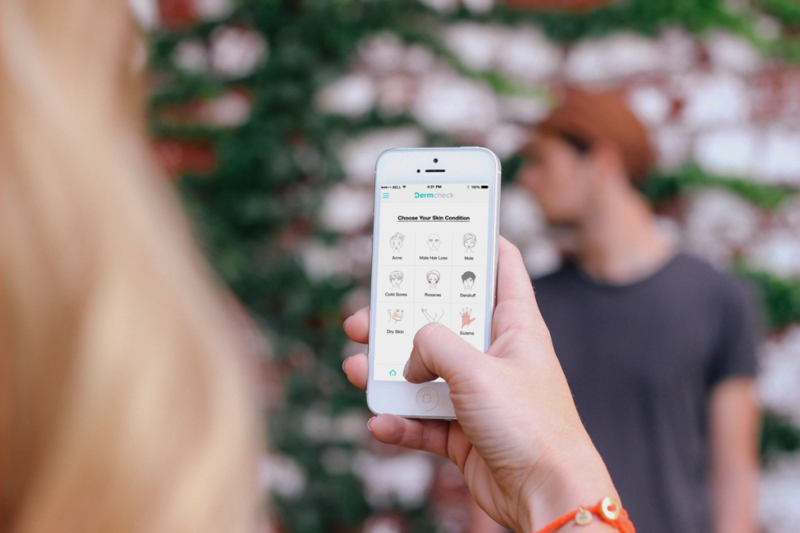 DermCheck allows smartphone users to describe their symptoms and take photos of their concerns for review by a board-certified dermatologist, all from the comfort of their own home. Treatment plans are completed and prescriptions are sent to local pharmacies within 24 hours. With over 4,000 registered users since our launch in July 2015, we have more than 20 dermatologists registered on our platform and are active in 3 states. For those with skin conditions that have troubled them for many years, going to see a dermatologist is not only a hassle, but also extremely expensive and time consuming. Not to mention, self-esteem can take a dramatic hit when you’re plagued with acne, have a cold sore pop up, or struggle to keep rosacea hidden on your face. Confidence is something that we all want to portray in our day to day lives, and something that can be cured or aided with medical help from a doctor, shouldn’t be something that is out of reach! And now, having medications prescribed from a board certified online dermatologist is as easy as opening an app on your phone, taking a few photos, and hitting submit! All that’s left to do is pick up your prescriptions from the pharmacy of your choice. DermCheck allows you to achieve that glowing skin without ever even having to go to a dermatologists office, and seriously, who even has time to drive and go see a doctor these days anyways. The best part? For all CA residents your first consultation is free until January 1st 2016 using Promo Code – Cali2015. Getting your skin healthy and clear is important, and now, its easier than ever. Download the app and connect with an online dermatologist now.